They say that handsome is as handsome does and many of the faces in the video released by YouCanPlayProject.org got that much more so after they took a stand on behalf of LBGT athletes. Nashville? Make me proud of my hometown. As a straight person who is sometimes mistakenly identified as batting for the other team, I’ve received more than a little feedback from Queer folk who are happy to be represented. That tells me that every expression of support is also very important. It makes a difference to somebody and it might mean more than you ever know to the kid out there who see you as a hero. I wish I didn’t have to type this next sentence. For all you know, it might mean life or death for the person who is looking for that one gesture, that one sign that things will get better, that they are not faced with an unvaried wall of disapproval and nonacceptance. So will someone wearing a Weeblos Gone Bad sweater please consider putting your punim out there? Predators SuperFan, Amy D, referred to the match as a “Cat Fight”. As Brandon Yip said of a game against his former team later in the week, “Anytime a team let’s you go or trades you, there’s always a little salt in your mouth.” The Big Cats were facing a duo with departed fan favourite Marcel Goc and recently traded forward Jerred Smithson. Smithson was gracious when commenting on his former den mates, but they still put up a good fight when it came to what happened on the ice. The Ice Cats got the first scratch in against the swamp felines just north of the halfway point in First Period when the trio of new acquisitions scored. Andrei the Surly Kostitsyn Brother, with the help of The Goose and Hal the Friendly Giant sailed past Florida. Not even a minute passed when Big Tuna and Ratman made that two goals. He was answered six or so minutes later by Florida’s Wolski, who tried to even things up with some assistance from Goc and Fleischmann. They never quite caught up as ‘Lebbin scored the final netter, backed up by The Surly Kostitsyn and Sargeant Suter. Big Tuna, Sergei the K and King Tut2 did some minor goofing, holding, slashing and tripping (respectively) their way to two-minute meditations in the Zen Bin. Final: Three to One Looks like Nashville Goc the better of Florida. Looks like they need to work the Kings out! What was that, a basketball game? This was the game to watch this week as Nashville and Ellay seemed to battle it out from the initial puck drop to the final buzzer. Pat the Bear and Justin Williams both tried for hat tricks, managing to get a handsome matched set of goals for their teams. Andrei the Surly Kostitsyn Brother and Sargeant Suter also distinguished themselves that night. Not bad given the commute and the time zone difference. Sergei the K and Ratman put the Predators on the board for two more goals; Ratman working with assists from Big Tuna and Josi, and Sergei going ronin, but it still wasn’t quite enough to swing the Kings away from victory. The final? Four to five, with the Predators not quite loving LA as much as they might have when they arrived. 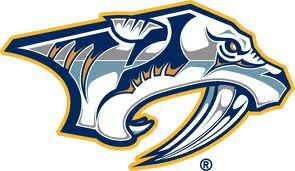 At the end of the night, the score was two to four, favouring the Predators. As season winds down and playoff excitement gears up, we’ll see what’s in store for the Good Guys next week when Predators spend a Saturday night with their rowdy relations from Detroit and then spend the week chasing the sun in Phoenix and San Jose. Until then, watch out for flying pucks and stay laced and upright. *Is it bad to admit that I’m glad he wasn’t in the box opposite SO’B?